The landmark GST (Goods and Services Tax) which subsumed over a dozen taxes on domestic goods and services under a single tax within India’s federal structure (Union government, 29 States and 7 Union Territories), was implemented from 1st July 2017. Given the enormous complexity of the landmark GST reform in India, some of the unanticipated or underestimated challenges during the initial period of implementation are to be expected. The policymakers have commendably responded periodically to the implementation challenges in defining the base for some of the commodities and transactions, in fine-tuning IT support infrastructure and GST regulations. 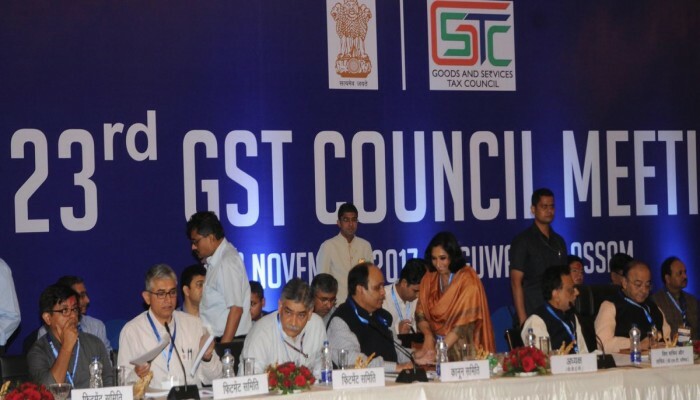 As an example, the GST Council in the 23rd meeting at Guwahati on November 10, 2017, reduced GST rates on around 200 items to better reflect the desired tax burdens on household expenditure patterns, reduce compliance costs for businesses, relaxed penalties and ease other regulations to reduce compliance costs, particularly for small businesses. It does appear that the GST as a project has been approached as a ‘Tax on goods and Tax on Services’ rather than as an ‘Integrated Tax on Goods and Services’. This is illustrated by the provision that businesses dealing only in goods (except for restaurant sector taxpayers) can opt for the composition scheme applying to those with annual turnover below INR 1.5 crore. The GST rate for manufacturers and traders under it is 1 percent, while for restaurants it is 5 percent. The businesses are not required to maintain detailed account but also cannot benefit from input tax credit. The businesses need to file GST return on a quarterly basis. This scheme thus reduces compliance costs of small businesses significantly. Similar businesses providing services also should be included if GST is considered as an integrated tax on goods and services. Before the GST was implemented, goods and services were taxed under different tax laws and implementing regulations and administrative structure by different jurisdictions. So, a learning-period in approaching GST in an integrated manner, with minimum need for separate classification as a ‘Good’ or as a ‘Service’ has become essential. The extent of learning period will depend on how different relevant tax administration organizations of the Union and the Union Territories are restructured and motivated reflect integration of domestic taxes on Goods and Services as a unified tax. Hence, a short learning period involving all the stakeholders is imperative for the success of GST. The focus of the policymakers and other stakeholders has understandably been on domestic aspects of the GST, with the objective of its becoming an accepted routine component of India’s modern tax system as rapidly as possible. There is however a strong case for initiating a process of incorporating international perspective in the design, administration and compliance features. Such a perspective is also needed in evaluating its impact on various dimensions of India’s international competitiveness at macroeconomic and at sectoral and sub-sectoral levels. Several reasons may be advanced for incorporating an international perspective in GST. First, the Indian economy has become increasingly integrated with the global economy. 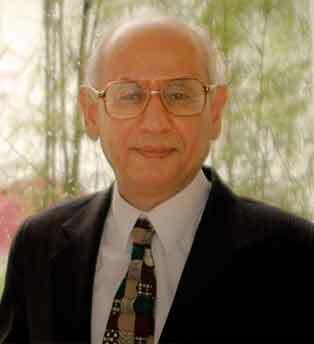 Thus, according to the World Trade Organization (http://stat.wto.org/CountryProfile/WSDBCountryPFView.aspx?Language=E&Country=IN) India’s total international trade in goods and services in 2016 was USD 917 billion, equivalent to 41 percent of GDP at current prices. In principle, the GST is applicable to all of India’s international trade transactions, underscoring the importance of incorporating international perspective in GST. The extent to which inputs in exports are refundable (and the time and compliance costs to obtain refunds) in comparison with India’s competitors should be monitored. For imports, which are also subject to GST initially, one of key international aspects concern the relationship between effective GST tax rate on imports as compared to domestic production, whether of intermediate inputs or of final goods and services. The medium term prospects between global economic growth and growth in world trade volume are subdued. According to the IMF World Economic Outlook October 2016, the world output increased by 3.2 percent, but the world trade volume grew by only 2.4 percent, and given that India’s share in global merchandise trade was at less than 2 percent and in services trade at little over 3 percent needs to be significantly improved, it is essential that India’s treatment of exports (and imports) of both goods and services under GST does not adversely impact on India’s competitiveness, particularly its major competitors in a given sector such as manufacturing, tourism, transport and ITES sectors. India has consistently been among the largest recipient of remittances flows. In 2016, India accounted for 14.6% of the global official remittances totaling USD 429 billion (http://pubdocs.worldbank.org/en/992371492706371662/MigrationandDevelopmentBrief27.pdf). This suggests that there are large number of Indian origin persons living abroad (estimated to be around 35 million people). They are an important segment of India’s inward tourism flows. How the GST is applied to the tourism sector, is therefore of significance. Between April 2000 and June 2017, the official data suggests that total FDI inflows into India amounted to USD 500 billion (http://dipp.nic.in/sites/default/files/FDI_FactSheet_June2017_2_0.pdf). As these do not reflect the equity component of the domestic partners, and the debt component of the projects, the impact on capital formation, economic activity and employment is much larger than the above figure suggests. According to the World Bank’s DataBank (http://databank.worldbank.org/data/reports.aspx?source=2&series=BX.KLT.DINV.CD.WD&country= ), the FDI inflow into India in 2016 was USD 44.5 billion, while India’s outward FDI was USD 5.0 billion. The prospects for both inward and outward FDI flows are encouraging. Thus, how the GST impacts the operations of the foreign companies operating in India, and Indian companies operating globally acquires significance. These impacts will have to be analyzed carefully and incorporated into the GST structure. Second, with the implementation of GST, India is progressing towards a modern tax system relying on two broad-based taxes, tax on consumption and income taxes. As India sustains high growth over the next decade, its 2016 GDP of USD 2.3 trillion is expected to grow significantly. India’s increasing integration with the global economy is also expected to continue. The above strongly suggests that India should be monitoring the GST (and excise tax) administrative practices, methodologies used internationally to estimate compliance costs, tax burden on households and firms, impact on cost of living and price levels, and other relevant areas globally. There is an international forum on consumption taxes organized by the OECD (Organization for Economic Cooperation and Development) which meets regularly to discuss and share these aspects among the OECD and the select emerging countries, of which India is a member. The OECD biennial publication on Consumption Taxes provides cross-country comparative data relative to consumption taxes, including the VAT (value-added tax), GST and the excise taxes, and also incorporates new developments and policy issues regarding these taxes. The OECD’s 2016 publication (http://www.keepeek.com/Digital-Asset-Management/oecd/taxation/consumption-tax-trends-2016_ctt-2016-en#.WgqQxmiCy70) provides information on VAT rates, the exemption thresholds, and special provisions for selected goods and services in the OECD countries. It is worth noting that the practices among OECD countries regarding these aspects of VAT range quite widely according to the country-context and country policy objectives and the trade-offs between revenue, fairness, administrative and compliance ease, and competitiveness perceived by each country. In particular, the above OECD publication reports that the unweighted average of the standard rate of VAT was 19.2 percent in 2016. Moreover, including zero-rated exports, in most OECD countries the number of different VAT (GST) rates was between 3 and 5, with some countries such as France and Canada having specific regional rates in addition to the national rate. The global practices, therefore, strongly suggest that to characterize India’s GST as ‘One Nation-One Tax’ does not require having a single rate for GST. Indeed, once the standard rate of VAT (GST) exceeds 10 percent, there will be grounds both economic and political for introducing more than one rate. The GST policymakers should regularly and actively participate in the OECD’s forum on Consumption taxes. Excise authorities of select States may also find the OECD forum useful. The participation in the OECD forum should be used strategically to address tax administration and compliance issues, to learn methodologies to evaluate the impact, including on India’s international competitiveness, and to help modernize India’s excise tax systems. It is strongly suggested that a GST Research Unit (GSTRU) located in the GST Council, or in the Central Board of Indirect Taxes and Customs (CBIC), be given the responsibility of monitoring the above international aspects of GST as well. A proposal for setting up a GST Research unit can be found at https://www.myind.net/Home/viewArticle/establishing-a-professional-gst-research-unit-gru-merits-urgent-consideration.